I was very excited to tour the City of Pines. 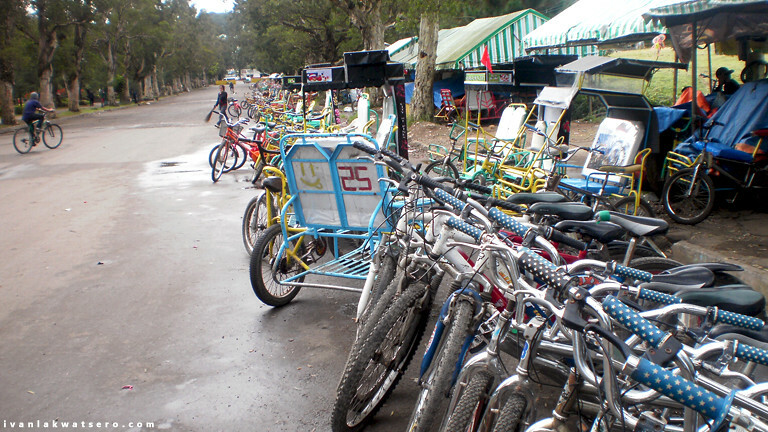 It was my third time in Baguio City, but I was acting so naive, as if it was my first time to visit the city. It was 8 in the evening, we're at Starbucks SM Baguio waiting for the clock to strike 10. Five from the remaining seven trippers were scheduled to leave for Manila. When the time came, we bid goodbyes no matter how much we wanted them to stay. It was really hard to bid farewell since friendship has already been established between us. From the original twelve, the group was reduced to seven and now we're down to two. It's me and Robbie of thetravellingdork.com who chose to remain in Baguio City. When I woke up the next day, we're only two in the room, strangely I missed our travel buddies in Sagada. But still, I was so excited to finally tour the city of Pines. 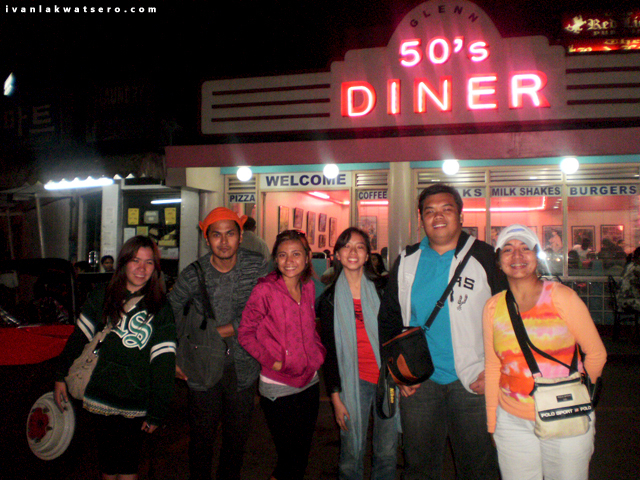 Our mission was to visit all the interesting places in Baguio as well as to do an ultimate food trip around the city. We started the day with a delectable breakfast at Pizza Volante along the Session Road. Uggghrrr!!! The food was so great, I fell in love at first bite. But we can't stay longer, by 8:30 am we walked our way to Burnham Park where we took a cab for Tam-awan Village. 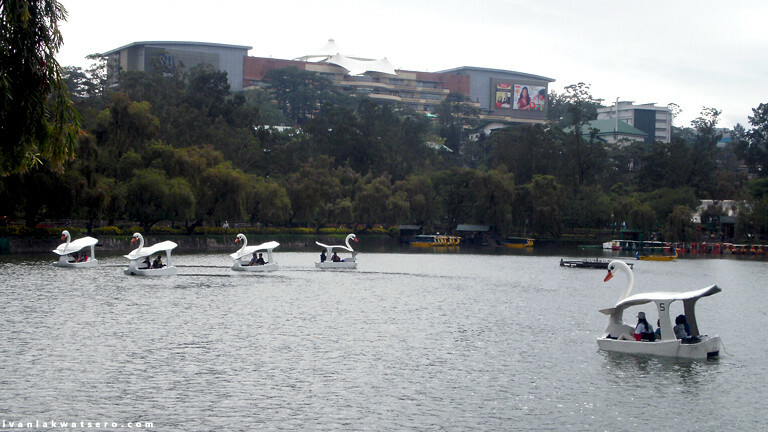 | Burnham Park is the heart of Baguio City. It's a recreational park named after the great city planner, Daniel Burnham. 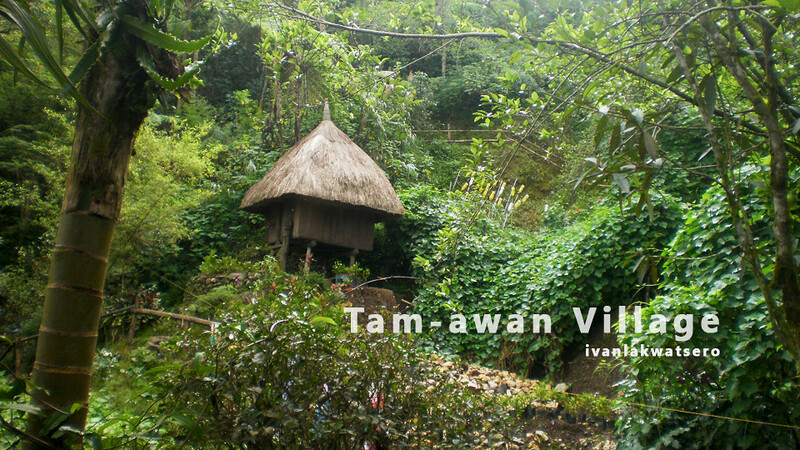 Tam-awan Village is quite far from the city center, located somewhere north of the city. We paid the cab for only P70, I was kinda surprised that the cab rate was not as much as I was thinking (sana mura din ang rates ng taxi sa Metro Manila). The village looked so serene, the art display are perfectly creative and a cup of mountain tea was soothing. We spent only an hour at the village and headed next to Ben Cab Museum. Detailed post on Tam-awan village in this link. | Tam-awan Village is a reconstructed village of Ifugaos and Kalinga. 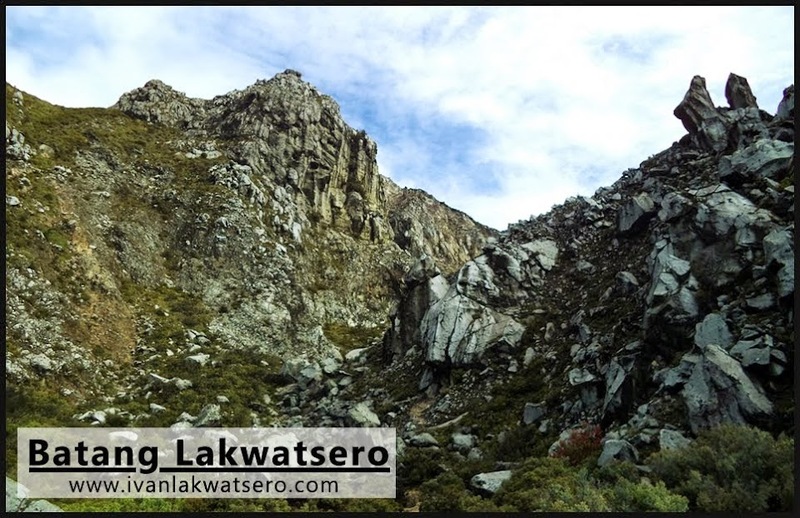 It showcases the huts and native arts and crafts of the indigenous people of the Cordillera region. We rode a cab to reach the museum. Passing by the road where the tragic garbage landslide happened, traces of garbage are still seen. We also passed by a series of shops of elegant wood-carvings. The museum is actually out of the boundaries of Baguio City, hence it's already part of Tuba, Benguet. Around 10:30 am, we reached Ben Cab Museum. The museum houses the art collection of Benedito Cabrera, a Filipino National Artist for Visual Arts, popularly known as Ben Cab. The drawings, paintings, sculptures and etches were so overwhelming. We even saw the man behind the arts, he was roaming around his museum (nagsisisi ako kung bakit hindi kami nagpa-piktyur kasama si Ben Cab). On the lowest level of the building, there's Cafe Isabel. Again, UGGHHRR!!! the food there was splendid. Oh I love the tuyo pasta. 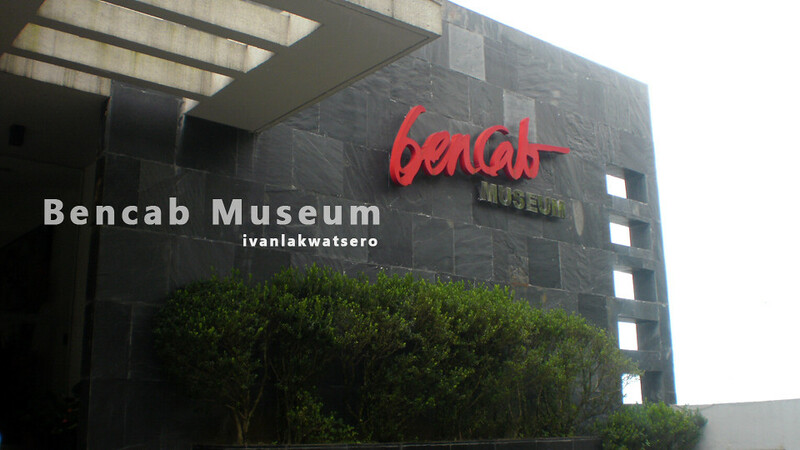 Detailed post on Ben Cab Museum in this link. Cabs were very seldom at Ben Cab Museum. So Robbie and I decided to walk a few meters towards the waiting jeep bound for Baguio City. 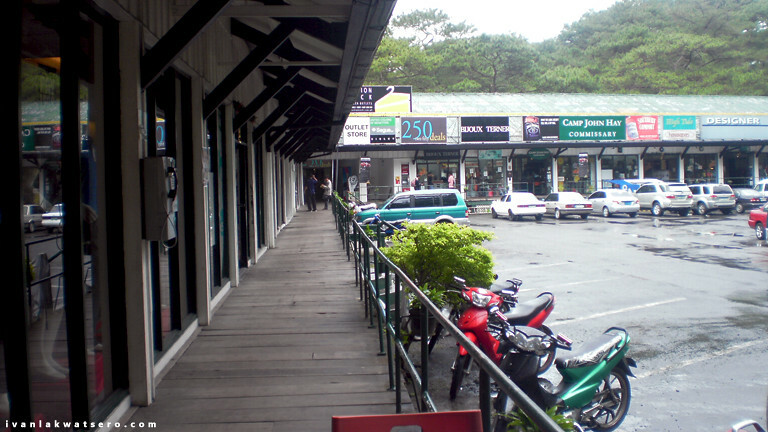 The jeep dropped us at Baguio plaza where we again rode a cab to Camp John Hay. | "From a rest and recreation base for the American Soldiers stationed in the Philippine Islands after the Spanish-American War, to an interment facility for Japanese nationals just prior to World War II, to a Japanese concentration camp and army post during the occupation, to a bombed-out ruins after World War II and back to a beautiful and scenic mountain resort for American military personnel, Camp John Hay’s history had undergone a colorful and sometimes traumatic path for eighty years." 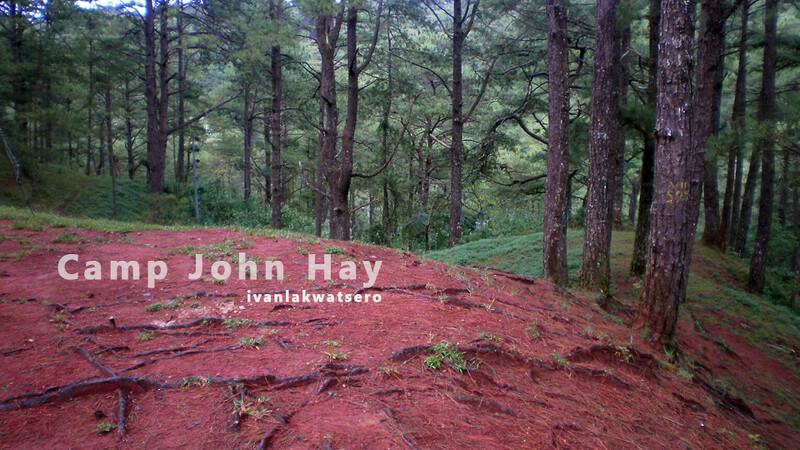 - from the site of Camp John Hay. 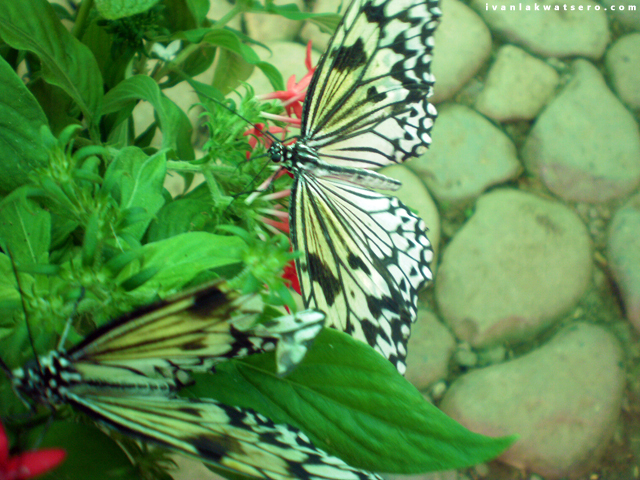 We alighted the cab in front Filling Station and headed straight to Butterfly Sanctuary. 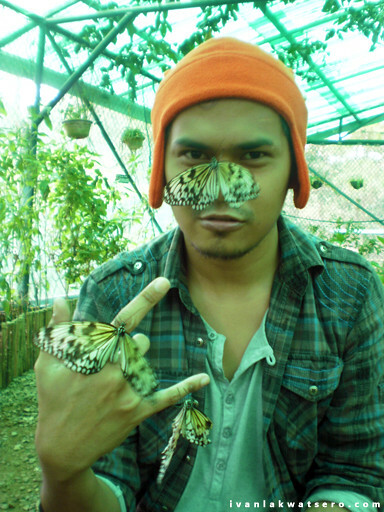 For only P40 we're able to see different species butterflies from its larval form to its adult form. The talkative and overjoyed caretaker welcomed us to his mini tent, he took photos of us with the butterflies (kawawang mga butterfly, stressed na masyado) and shared a bit of infos about these insets. 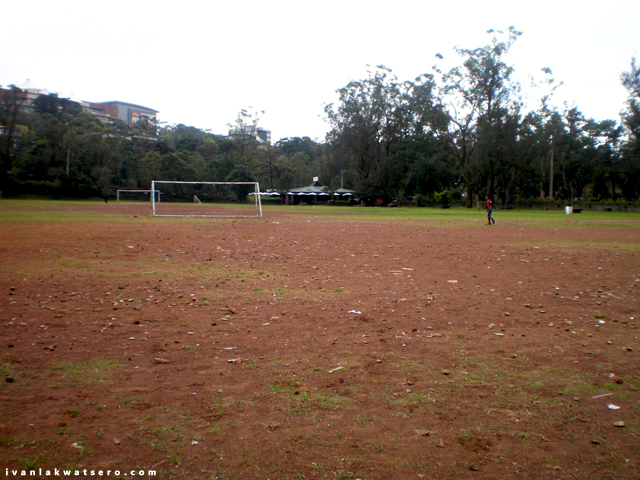 We left the place and started to walk around the Camp John Hay. 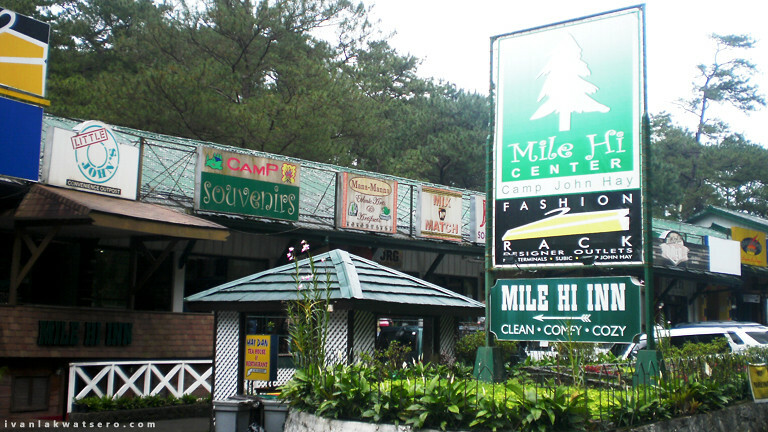 Camp John Hay defines Baguio City being the City of Pines. 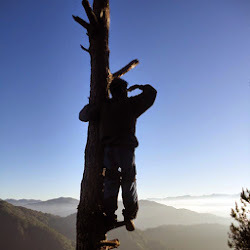 Towering pine trees fill almost 50% of the whole place, in fact, it is the only pine forest reserve in the city. 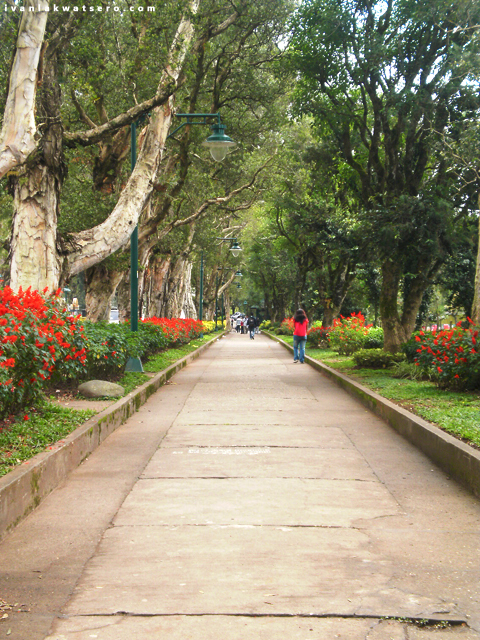 The cool climate of city made our walk pleasurable, we didn't get tired easily. 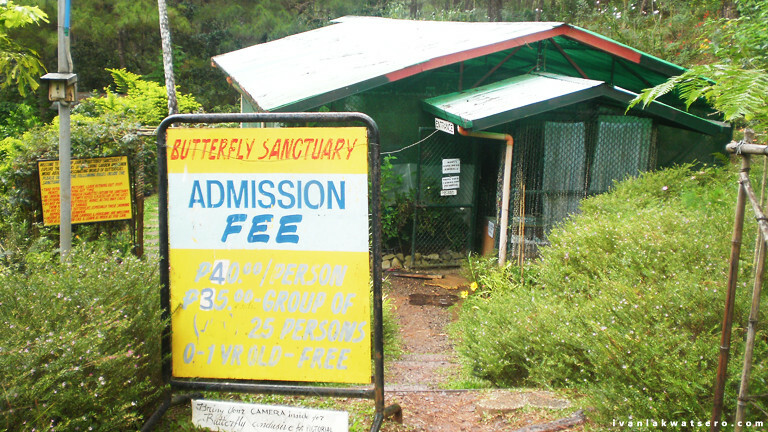 About 10 minutes away from the butterfly sanctuary, we reached the famous yet the most expensive accommodation you'll find in Baguio City, The Manor. 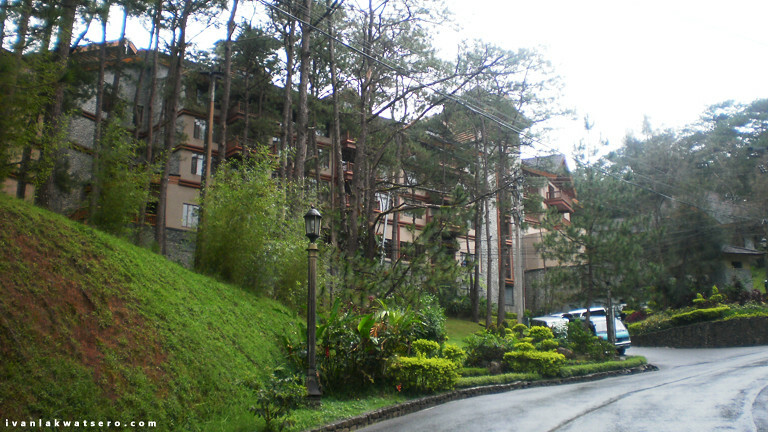 It's the for-rich-only hotel in Baguio City. May be someday I can afford to stay and try the life of luxury inside this hotel. Just across the hotel is the Mile Hi Center where shops and food stops are located. It was already 1:30 pm so we decided to eat (again) at Little John's. 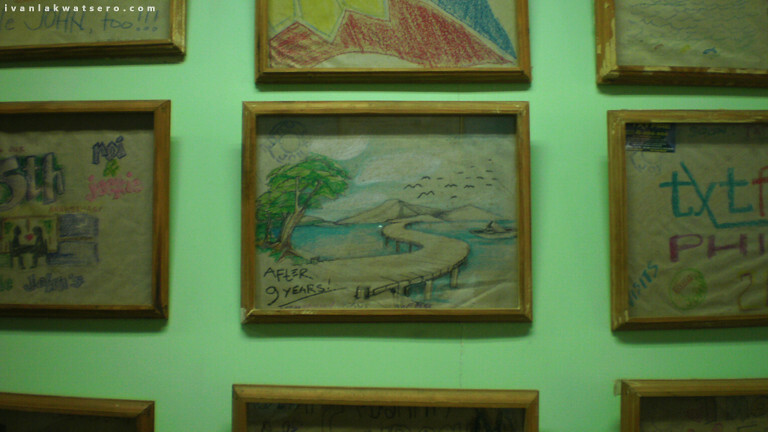 Displayed on the walls of this diner are the drawing out of crayons made by their customers. With the crayons and paper place mats on our table, we practiced our talents while waiting for our meals to be served. Too bad my battery died from this point of time. I was so full after finishing my yummy baby back ribs. 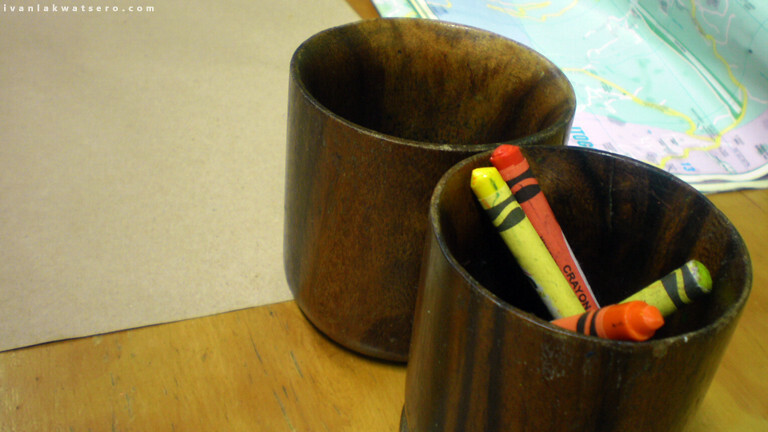 crayons on the table, I actually made my own crayon drawing kaya lang hindi worthy piktyuran. We continued the walk despite the heavy tummies. Actually we got lost a bit at the country club, I was a little confused with my map, we've been walking for like 30 minutes already, haha. 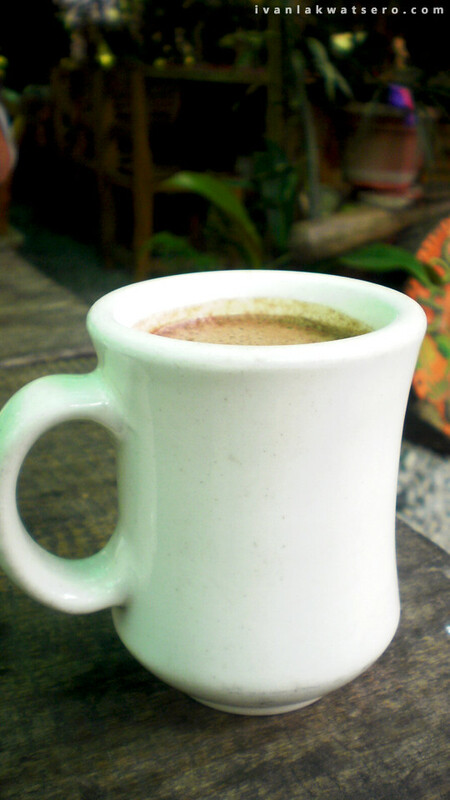 Good thing we reached this uber cozy Choco-laite de Batirol. The ambiance was relaxing, the chairs and tables, the music and the drink match perfectly. I had a cup of traditional chocolate drink which I definitely loved as well. By 3:30 pm, we proceeded to our next destination which was the Wright Park, I was leading the way since I have a map. Robbie wants to get a cab already but there's none around the area, so we continued walking until we reached the St. Joseph Church. I then felt the need to pee, there was no fast food or public C.R. around so we just decided to go back to our inn along Session Road, too bad for me, too good for Robbie (haha, pagod na si Robbie samantalang mataas pa ang energy ko para lumibot sa Wright Park). I would've gone back to do some more walk tour around the city, but all my batteries have gone dead already. I simply can't tour around without my camera so the day tour ended by 4:00 pm. O bakit 1 post na lang ito??? Di na nakayanan? Hahaha. Quality mother and son bonding kaso sobrang na-miss ko na yung ibang friends natin. The best talaga yung food trip dito!!!! Nakalimutan mo ata yung sa Gecko dinner. galing ah. nagawa mo yun sa isang buong araw. kakatuwa comment ni robbie. NICE! 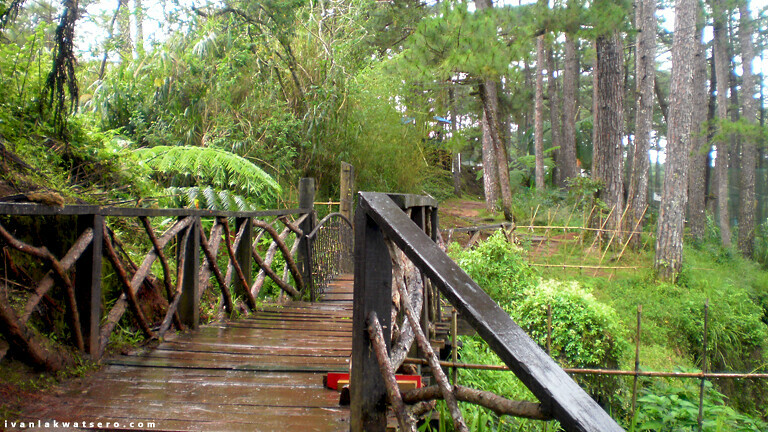 this made me want to visit Baguio again! Little John's baby back ribs is the best! @robx, sa ibang post ko na ilalagay yung mga food trip hehe..
@kuya dom, eager malibot ang baguio..
@pol, taralets.. gusto ko din bumalik! @ate gael, thanks ate.. astig tlga si inay..
@ed, haha.. dyosa nga mga butterfly..
@owa, i agree. sarap nga nun... haha.. pero mas nagenjoy tlga ako sa art practice..